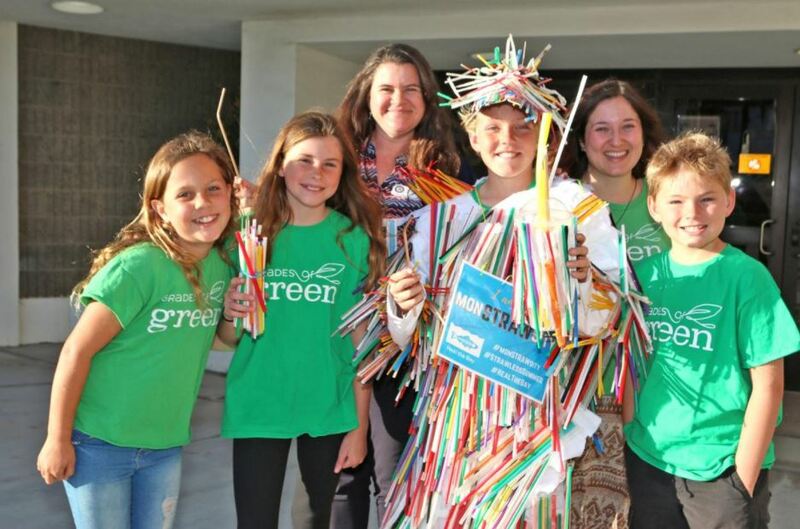 On Tuesday April 17th, Grades of Green Youth Corps Eco-leaders advocated for the ban of all single use plastic straws, utensils and stirrers in front of the Manhattan Beach City Council. Youth Corps Students Sienna, Lila, Penn, Ethan and Carter spoke out about the negative impact plastic straws, utensils, and polystyrene products have on our environment, such as harming human health and marine life. After the students presentation, the city’s environmental manager proposed a ban on single use plastics. After a lively conversation, the City Council voted unanimously to move ahead with a ban on plastic utensils, stirrers and last but not least, straws! Learn more about Manhattan Beach’s new law by reading the Beach Reporter article here.